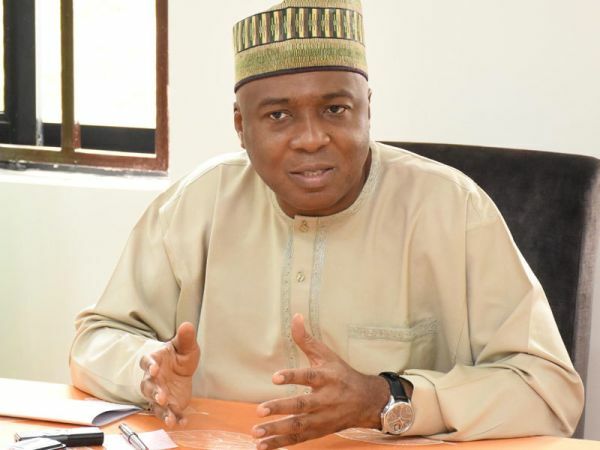 Senate President and Chairman of the 8th National Assembly, Federal Republic of Nigeria, Bukola Saraki has sent condolences to D’banj and his family on the loss of his 13 month old son who got drowned in a swimming pool. 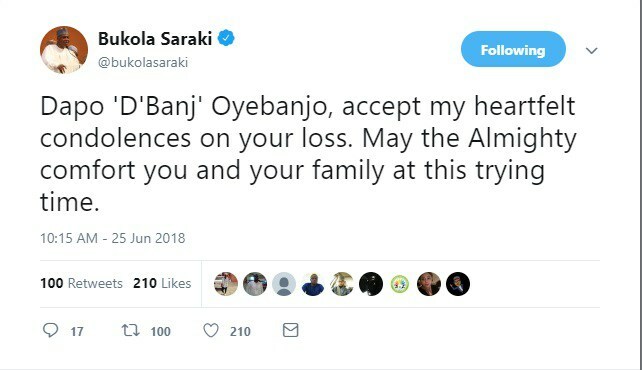 he wrote “Dapo ‘D’Banj’ Oyebanjo, accept my heartfelt condolences on your loss. May the Almighty comfort you and your family at this trying time.